Life is Feudal is a sandbox survival MMORPG set in medieval times develop by indie studio BitBox and published by Xsolla. With introductions out the way this is an MMO game. It is my personal belief that you can’t fully judge an MMO until you’ve hit mid-level gameplay or maxed out a character. In my experience, a maxed out character is the point in which the game opens up for a gamer. This is where successful MMO’s start to shine. Hence the First Impressions but I will explain more on a follow up article as I progress through Life is feudal. So what is Life is Feudal?? Well simply put it’s a survival MMO like any other. You scavenge the lands, find supplies in order to build, and prosper as a being in the world. But don’t go just yet, there is plenty more in Life is Feudal! Being set in medieval times, it takes you back to when war was glorious, where people wore full chain mail armor, and rode a horse as transportation. Given a slightly different perspective on a survival game it also allows you to shape its world as you see fit. With skills like Animal taming, character alignment for good or evil, terraforming, landscaping and building you are able to create your own worldly vision. Ever want to live underground as a thief? Sure go ahead it is possible in life is feudal. Want to hollow out a mountain, build a castle on the side, and live like a grand king? Why not it’s all doable in this game. Which brings me to my next point concerning characters. Right now as it sits Life is Feudal only has 3 playable races Gottlungs, Khoors and the Slavards. Each playable race with their own look and skill set. Backed up with extensive character creations for your imagination to customize. There are tons of items to modify, facial features, clothing, hair, tattoos, scars, and burns that would even please Akumba the disgruntled gamer. There is a lot of promise in Life is Feudal’s customization system. I would like to talk about the survival and grind involved in Life is Feudal. That is why I am doing this as a first impressions take and not a final game review. Life is Feudal has survival element like any other MMO out there. Like most MMO’s you must eat, drink, have a safe place to go for shelter and you must find a reliable resource for these things to take place. You are also affected by fatigue, as well as overburden, but these things must be managed for your character to be successful. Which brings into play the patient skillset of enjoying the grind. 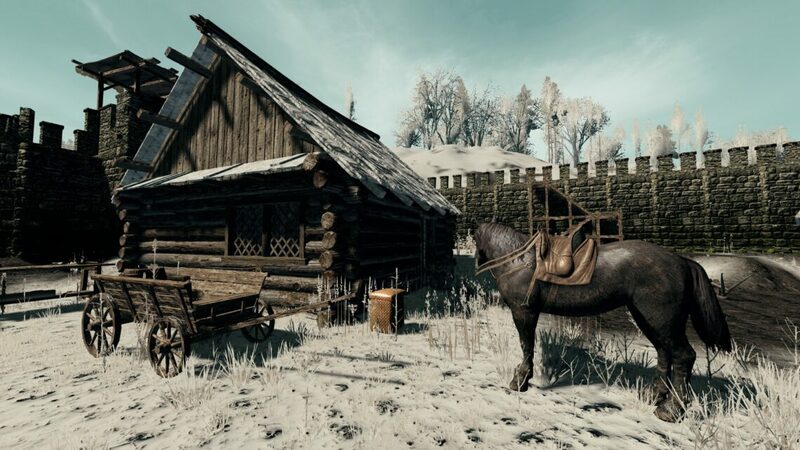 In Life is Feudal you having a horse will allow your hero to carry more weight per load. Enabling them to travel back and forth faster than a filthy casual on foot. If you can tame a chicken, you will gain a great food source and an asset for tradable goods. Such things as eggs and meat for your character to thrive in the world. Terraforming combined with building will allow you to make safe areas for your townspeople and livestock. Terraforming allows you change the land around you so you can build off of it. But that is only if you have earned the right skills and equipment to do so. All these prestigious things must be earned by grinding for them! It would take a single player hours on end to enjoy these awesome in game moments. I recommend you bring a friend or friends along to help with this grand journey. But as it sits right now as the game is designed this will still take some time. Finally my dislike, Just like any other game, Life is Feudal has some bugs, and glitches nothing extremely painful for the gamer. Seeing where this is, it has room, and time for fixes so no honorable mentions are needed. As for the fighting department better known as PVP (Player vs Player). The game can feel a bit clunky. I have confidence that this gameplay can be smoothed out for optimum performance over a few well-placed patches. The game also doesn’t hold your hand in the crafting if you are a beginner. Initially crafting can be a little hard to understand for even the most experienced gamer. It comes off confusing at times but this can also be add a sense of wonder as well as adventure for some gamers. 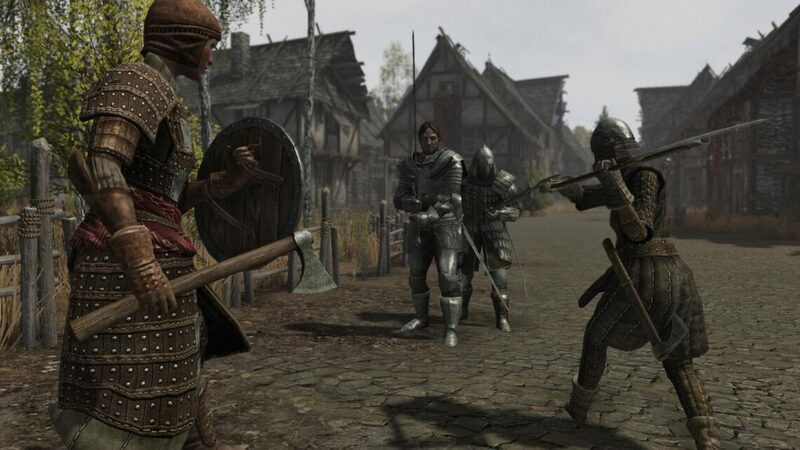 So all in all if you ever thought about being a castle having great sword wielding knight or king in shinny armor and you don’t mind a grind this is the MMO for you.